Single Sentence Summary: A woman, taking a break from her husband, is in need of a nanny, but gets much more than she expected when she places a Craigslist ad, and hires a young artist with issues of her own. Primary Characters: Lady – A 40ish woman, separated from her husband. Lady has two sons and is hiring a nanny to care for her younger son, Devin. Esther – Esther is a recent UC Berkley grad who has decided to reinvent herself (as a form of art) using her own mother for a model. She’s also decided to go by S. Seth – Lady’s 18-year old son, normal in all ways except for the fact that he has never spoken. Synopsis: Lady seems to have it all. She’s married to a truly nice man who loves her, has money, a beautiful home in the Hollywood Hills, and two amazing sons. But, Lady isn’t happy. She’s forced a separation from her husband and is in need of a nanny to care for 2-year old Devin so she can get to writing a memoir she’s not sure she wants to share. Her Craigslist ad brings S. to her door. Funny, quirky, slightly unattractive, Lady hires S. on the spot. The arrangement seems ideal, until S. and Lady’s older son Seth, a nonverbal young man, develop a closeness that becomes more than a little disturbing. Review: In reading Woman No. 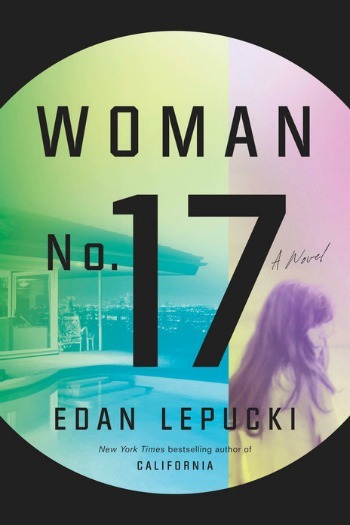 17, I almost felt like Edan Lepucki had two very different stories she wanted to tell. The first was the story of Lady Daniels and her older son, Seth. Lady had Seth at 22 and soon was raising him completely on her own. To make life even more complex, Seth did not speak. This led to endless appointments, therapies, schools in Lady’s determination to do everything possible to make Seth’s world right. It also led to an incredibly special bond between Lady and Seth; a bond that began to change as he grows older. 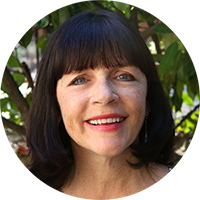 With a major in psychology and a minor in art, S. floundered after graduating from college and decided she needed to try something different: to know her mother by becoming her. Imitating her personality. Dressing like her. Drinking, just like Mom. Doing this at the same time she’d taken on a new nanny job presented problems for S., but the bigger problems arose as she grew close to both Seth and Lady. S. realized she was on a destructive path, but didn’t seem to be able to stop. Lesson in French by Hilary Reyl – A recent college grad sets out for Paris to be the personal assistant to a famous photographer. The job is far different than she expected. Yep – exactly. Felt like she wasn’t quite sure what she wanted the book to be about. Just kind of clunky. And I much preferred the Seth storyline. Dual storylines again! It is so rare to love both of them in a book. Sorry this one didn’t work for you! OK, based on this and Sarah’s thoughts, I’m setting this one aside. On to the next book!